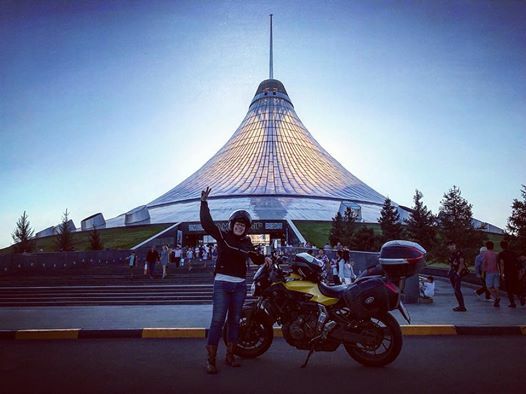 ASTANA – Rosaria Iazzetta started a motorbike journey to battle her own fears, but, in fact, her courage and enthusiasm has inspired thousands of people she has met during the trip. Likewise, she got inspired by the great hospitality of people of all walks of life along the route, including, most recently, in Kazakhstan. A sculpture professor at the Academy of Fine Arts of Naples, Iazzetta is travelling from Italy to Japan to collect interviews with women from different continents. The conversations will be featured in a documentary as part of the Yellow Horse project. 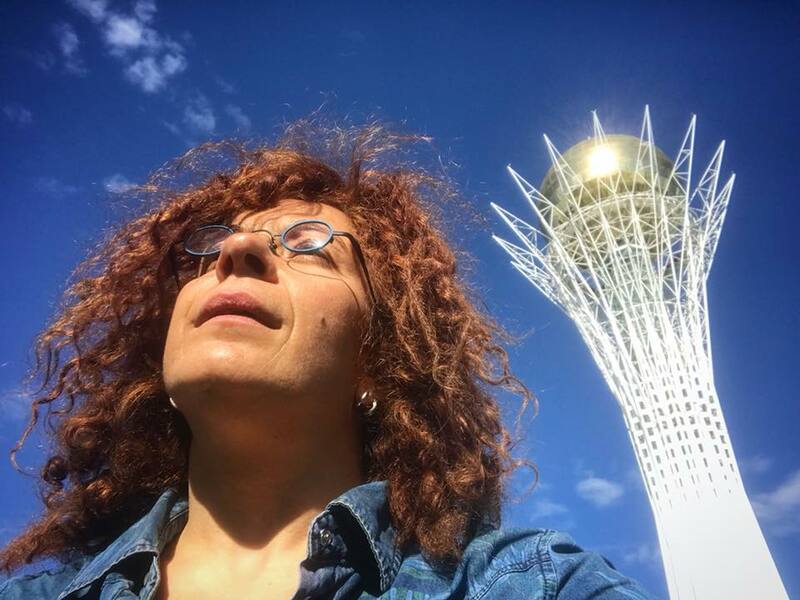 Starting in June from Naples, she intends to visit 11 countries and 59 cities to meet with 45 women engaged in arts, politics, sports and sociology, reaching Morioka in October. In Kazakhstan, Iazzetta visited Astana, Ekibastuz, Kokshetau and Petropavlovsk. “I dedicate the physical effort of the journey to women who struggle every day in silence to assert their dreams. My idea is to show that regardless of the continents on which women live and the cultural history of the country born, there is a need for a woman to contend and fight to affirm her own right or to affirm a dream. I have always been involved in social art. I believe that art has a social reason and a social purpose, but in this project, I do not want to be in my studio to make a sculpture, but to put my physical effort on the journey, to put together testimonies and build a social sculpture made up of communities of women,” she said in an interview for this story. Creativity is an instrument of freedom and strong inspiration, said Iazzetta. “Our worries come from some consideration of something you don’t know or from experience from somebody else. Everybody has his or her personal energy. Every energy moves in a different way. We cannot compare. Our personal experience is always incredibly different from others. And for this a lot of suggestions were given to me from other people, travellers, bloggers or news on the Internet and books was a little bit wrong because what happens to you also depends on you,” she added. Iazzetta started working on the project dedicated to Iwate Women, who two years ago decided to take their lives. “I come from the dynamics of activism against mafia here in Naples. Then, I devoted all my attention to supporting the feminist struggle, as I believe that this is a priority cause and important in the fight against mafia. As a professor, I am always interested to know what the cultural situation in another country is. The art in other continents is of great interest to me,” she said. For Iazzetta, meeting with artistic communities is an amazing part of the journey. 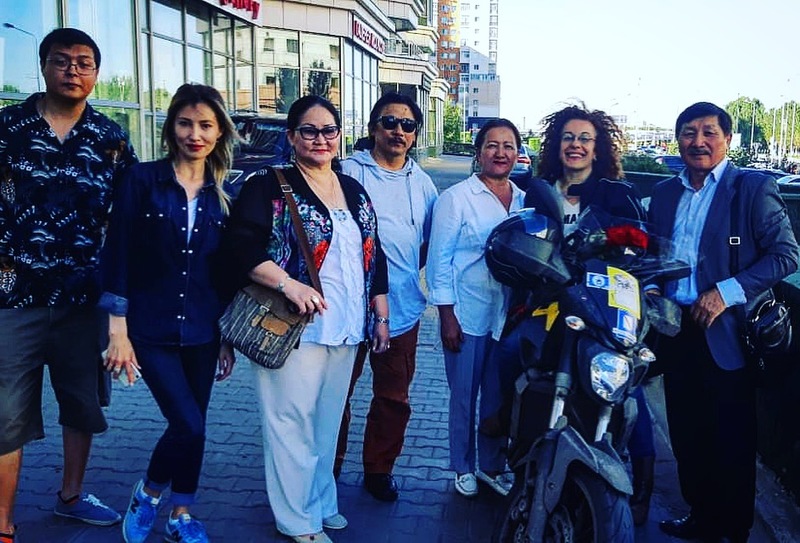 While in the capital, she spoke with Expo and Women’s Executive Director Lyazat Askarova, Kazakh National University of Arts Rector Aiman Mussakhajayeva, artist Aktoty Smagulova, producer Zhazira Dyussembekova and Has Sanat Gallery co-director Zhanel Zholzhaksy. “We have one expectation, but the reality is always different. It is an incredible energy sharing. 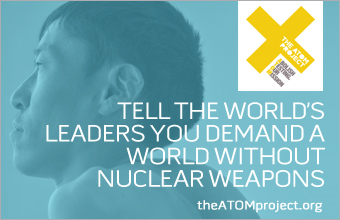 I go to them and they come to me attracted by the project. It is important to see them in person and for them to be true in the few questions that I ask,” she said. She shared a story from Petropavlovsk, when she was unable to find a room as all the hotels were fully booked. 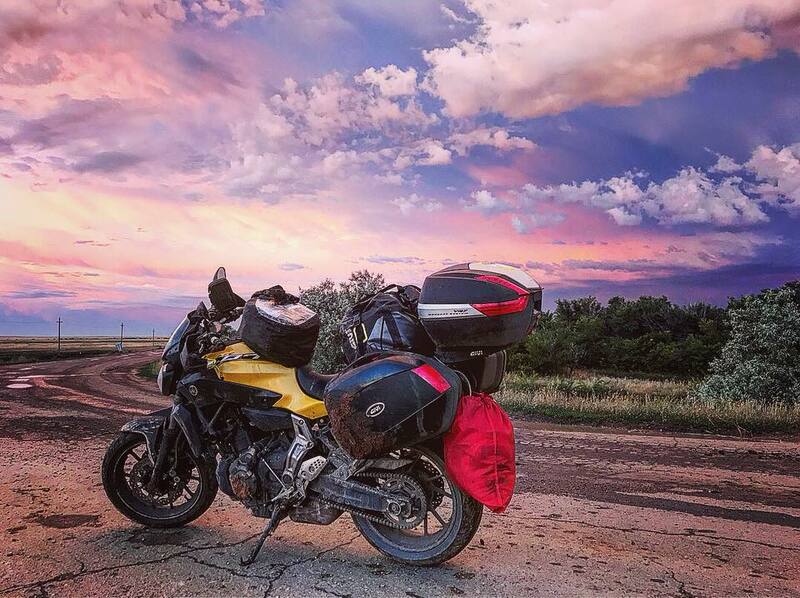 “A Kazakh family, who saw the motorbike at a sight, asked me if I wanted to join the party that they organised. I was cold, frozen and agreed. We had a wonderful dinner and danced. At the end, they said you must be our guest and stay with us. I was happy and surprised by their hospitality. Kazakhstan is a unique country; it is not a European or Asian country. The mixing of culture and people that are so open for foreign people made me incredibly surprised and happy,” she said. Iazzetta started preparing for the trip almost three years ago. “When you are alone, you easily listen to what your heart wants. I love people, but it is important to understand when there is a moment when you should listen to your voice and to stay with yourself. All the time we just pay attention and take care of others, so the trip was an idea of taking care of me,” she said. Rosaria Iazzetta near Khan Shatyr shopping mall. A positive person, she tries not to think about the road and reflects on the moments when she will arrive in Japan. “I think about the few words I will tell to myself and to the sky when I arrive to Japan. This moment gives me the possibility not to worry. Being in a safe and comfort zone does not give you the possibility to know more about life,” she said. Iazzetta presented the logo of a lady surfing on the motorbike made by her student Alfredo for people she meets during her trip. “I love the expression of people I meet. It is incredible to tell them that I am going from Italy to Japan. The larger the distance, the more surprised the people are. These interviews are wonderful inspiration for the younger generation and it can be helpful for them and for everybody I met on this trip. The trip is difficult, but life is not easy, too. It is better to try to do something stronger that helps make a connection with people,” she added.